The expected contraction of the hedge fund industry could lead to a liquidity drought in the equity markets, according to Ana Avramovic, portfolio strategist at Credit Suisse. Mass outflows from hedge funds due to unprecedented redemptions requests, along with extensive de-leveraging as prime brokers cut credit lines, contributed to extreme volatility and inflated trading volumes at the end of last year, according to ‘Where do we stand?’, a market commentary by Credit Suisse. But as this activity slows down and more hedge funds are forced to close, there could be significant impact on equity liquidity. “Hedge funds are major participants in the electronic markets because of algorithms and high frequency strategies, so we may see volumes go down as they exit the market,” Avramovic told theTRADEnews.com. HedgeFund.net, a hedge research and data provider, estimated that net investor redemptions, fund liquidations and performance losses accounted for a $1.047 trillion reduction in hedge fund assets during 2008, with a record $221 billion of liquidations and redemption requests occurring in December. Around a 1,000 funds are believed to have closed in the second half of 2008. Between a quarter and a half of all hedge funds are predicted to close in the next two years, according to various industry estimates. However, Julian Young, partner and leader of the European hedge funds practice at Ernst and Young, thinks other influences must be taken into account. Credit Suisse’s research noted that since a record volume high of nearly 20 billion shares on 13 October, daily volumes have subsided to fewer than 10 billion shares per day in the first full week of January, suggesting that the period of excess trading by hedge funds is near complete. In order to combat mass outflows, hedge funds have halted or suspended redemptions or restructured investment terms in an attempt to stem losses. Young agrees that the future does not look bright for hedge funds in 2009. 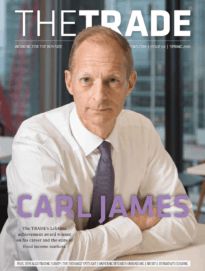 He asserts that many hedge funds, particularly small- and mid-sized ones, will face closure if they are unequipped to deal with volatility and the ones that do survive will continue to endure an increased level of scrutiny. “One of the concerns many regulators and governments have is the potential for abusive behaviour. “It may become harder for new funds to start up because of the pall over the market right now, e.g. from the Madoff affair, poor performance results etc,” added Avramovic. 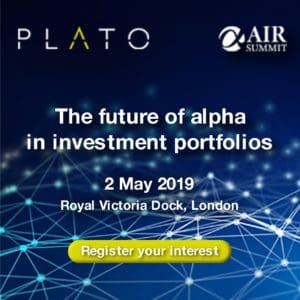 “People may be losing confidence in hedge funds’ ability to deliver alpha and don’t want to pay high management fees if hedge funds aren’t delivering the alpha they expect.